Whether you’re a student heading to university for the first time, a freelancer looking for a way to manage your accounts, or a professional seeking a way to streamline your business, or a visual creative looking for Adobe Creative Suite, we have the software you need. 1TB of online storage in OneDrive for anywhere access to your documents. Office for the entire household on up to 5 PCs - Windows 8 tablets - iPads - Macs and select mobile devices including iPhone. The latest versions of: Word - Excel - PowerPoint - Outlook - OneNote2 - Publisher2 - and Access. An extra 20 GB of online storage per household member in OneDrive (up to 5 users). One convenient annual subscription with automatic upgrades included so you're always up to date with the latest features and services. Renewing your subscription? Simply purchase Office 365 now and enter your login ID from your current Microsoft account. Tackle any task - Get built-in professionally designed Starter solutions and themes to help manage your tasks in minutes. Build a database tailored for your unique needs. To get started - just drag and drop Microsoft Excel data into FileMaker Pro. Get step-by-step reporting tools - including eye-catching charts - to help manage and automate tasks. Easily create and email reports in Excel or PDF. Securely publish your databases to the web in a few clicks. Create surveys - registration sites - customer feedback forms - and more. We stock multiple packages of Microsoft Office for Mac. As intuitive as it’s versatile, Microsoft Office is used by millions of businesses across the world. Our Office packages include the latest versions of Word, Excel, PowerPoint and Outlook. In addition to the standard Home & Businesses package, we stock the Microsoft Office Personal package, the Home Premium Package, and the University Edition, which comes with a four year license specifically designed for those entering higher education. Over the past few years, the Adobe Photoshop software has earned a solid reputation for being the most versatile and intuitive photo editing software available. Using a series of simple yet powerful one-click adjustments and a complete range of advanced controls, Photoshop enables you to bring out the best in every photo you take. It’s very easy to learn and, once mastered, there really is no limit to what you can achieve. FileMaker Pro database software allows you to streamline your business through providing you with reliable and high-performance access to your data. In addition to the FileMaker Pro software, we also stock the FielMaker Server, with which you can securely host groups of FileMaker Pro users either online or across a network. If you are unsure which software package is suitable for your requirements, don’t hesitate to get in touch. 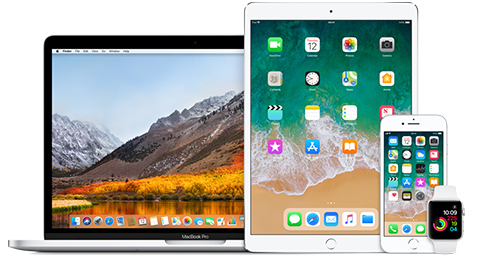 One of our resident Apple experts will be more than happy to assess your needs and recommend the perfect software, just for you.